Now you're reading with power... FREE power! Continuing its quest to preserve gaming's past, Archive.org uploaded over 13 years' worth of issues from Nintendo Power. You can read Archive.org's collection of Nintendo Power magazines for free by clicking the issue of choice and turning pages in your browser. 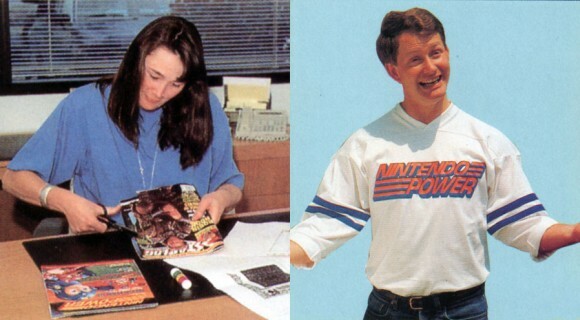 Nintendo Power started as a newsletter freely distributed to owners of NES games. As circulation grew, producing a newsletter grew too costly, so Minoru Arakawa, then-president of Nintendo of America, tapped marketing whiz Gail Tilden and game tester Howard Phillips to convert the newsletter into a magazine. The first issue, featuring an iconic clay Mario on the cover to promote Super Mario Bros. 2 (USA edition), went on sale in December 1988. Nintendo of America published the magazine until 2007, when it licensed publishing rights to Future US. In 2012, Nintendo opted not to renew its licensing agreement with Future. The final issue, featuring cover art that recalled the inaugural issue, was published in December 2012, 14 years later. Craddock's Corner: Nintendo Power was the first magazine I subscribed to, and will always be my favorite. From front to back, every page oozed personality and charm. The unique motifs for each section, such as the manila envelopes used for Classified Information, made the book feel more like a clubhouse than a mere magazine—a hangout tailor-made for you and your buddies. Nothing was more exciting as a kid than coming home from school to see a new issue of Nintendo Power laid out on my bed. I plan to dive deep into Archive's collection this coming weekend.